Home Obituaries Notices James C. Shannon, Jr.
James C. Shannon, Jr., 91, a member of a well-known Lowell family and a longtime resident of the Belvidere section of the City, died peacefully Saturday afternoon January 6, 2018, at the Saab Residence at D’Youville Senior Care in Lowell surrounded by his loving family. He was the beloved husband for over 64 years of the late Margaret M. “Peggy” Shannon who died October 23, 2014. Jim was born in Bridgeport, Connecticut, July 20th, 1926, a son of the late James C. Shannon, former Governor of Connecticut, and Helen M. (McMurray) Shannon. A proud veteran of World War II, he served his country as a member of the U.S. Navy as a part of the Seabees unit. He later served in the U.S Army where he was a First Lieutenant with the Adjutant General’s Corps. 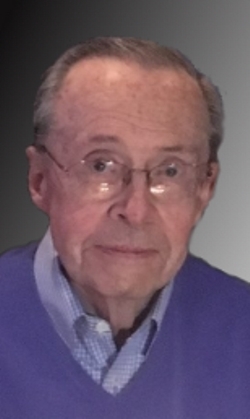 After attending Connecticut schools and serving in the U.S. military, Jim graduated from Georgetown University with an AB in History in the Class of 1950. A beloved and active alumnus of Georgetown University his entire life, he was a respected advisor and confidant to several University Presidents having served as past Chairman of the Board of Directors, as Chairman and member of the school’s Board of Regents and as a President of Georgetown University’s National Alumni Association. In recognition of his years of service and commitment to the school’s ideals and traditions, Jim was awarded the prestigious John Carroll Medal named after the founder of Georgetown University. 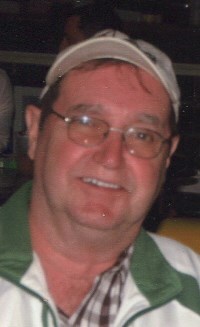 Locally, Jim was a former member of the Boards of Lowell Five Cents Savings Bank and Lowell General Hospital. Additionally, he served as a past President of the Lowell Rotary Club where he was also a Paul Harris Fellow and as a 4th Degree member of the Knights of Columbus.He was also a member of Vesper Country Club. A devout Catholic and communicant of the Immaculate Conception Church in Lowell for over 65 years, Jim served as a Eucharistic Minister, a Senior Acolyte, as a mentor to the altar servers program, and as an usher and counter for the church. He also was a former member of the parish council and the finance committee of the Church. Prior to his retirement, he was a stock broker with Smith Barney in Boston for over 30 years. Previously Jim was the owner of the former Kenney Florist Shop in Lowell. Jim was beloved by many for his constant smile, helping hand, quick wit and passionate devotion to his family, his faith, his friends and his community. For those who knew him well he will be deeply missed. He is survived by three daughters, Helen S. Russo, C.P.A. and her husband Gregory, Esq. of Cedar Knolls, NJ, Margaret M. Shannon, M.D. of Newport Beach, CA and Monica S. Brems, R.N. and her husband John M.D. of Mentor, Ohio; three sons James C. Shannon, III, C.P.A. and his wife Kathleen (Sullivan) of Lowell, Joseph E. Shannon and his wife Joanne (Thibeault) of Dunstable and Arthur J. Shannon and his wife Rebecca (Hollas) of Chester, NJ; thirteen grandchildren; thirteen great grandchildren; a dear sister-in-law Helen M. McNamee of Lowell; and many nieces, nephews, grandnieces and nephews. He was also the brother of the late Honorable John H. Shannon and the late Claire Richards. Friends may call at the MAHONEY FUNERAL HOME 187 NESMITH ST. in LOWELL from 4 to 8 P.M. Tuesday. Relatives and friends are invited to attend his Funeral Mass to be celebrated Wednesday morning at the IMMACULATE CONCEPTION CHURCH at 10 o’clock. Burial in St. Mary Cemetery, North Tewksbury. 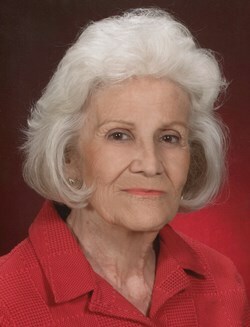 E-condolences at www.odonnellfuneralhome.com. Directions at www.mahoneyfuneralhome.com. Those wishing may make contributions in his memory to the Immaculate Conception Building Fund, 3 Fayette St., Lowell, MA, 01852 or to the Saab Residence at D’Youville Senior Care, 981 Varnum Ave., Lowell, MA 01854. 2018-01-11 10:39:00 | Kevin and Michelle Walsh Clark - Deepest Sympathy on your Dads passing. Jim and Kathy, On behalf of myself and my mom and dad our sincerest condolences to you and your family on the passing of your father. He was obviously a wonderful person. Cherish the memories. Friend,neighbor and countryman: Jim was my "Jack Armstrong" since we met in 1959 and today he is in my thoughts and prayers. His life reflects the rewards of a life lived for God and Country. Condolences to the Shannon family. your Dad was among the most respected individuals the Hatem family has ever known.